Very very helpful and extremely professional staff. Guy called Ray helped us so much today, we left the branch with peace of mind. And extremely reassured and happy. He is defiantly an asset to the company. Polite, courteous and attentive staff. I was reasonably happy with the service and cost. Very efficient and quality service. Extremely helpful staff who managed to source parts needed for obscure model of car. Quick friendly service and managed to source parts for a non mainstream car. the staff at my local branch are very efficient, polite and offer a fantastic service, I always feel I have been treated well and i have been given good advice and prompt service. Having used my local branch in Newton le Willows for over 15 years, I have never had a single cause for complaint. 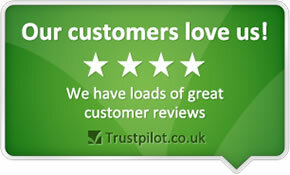 Indeed, the service received from the staff has invariably been excellent, both efficient and friendly. I have in fact recommended my local branch to other family members. The people who work at the branch are always friendly and helpful and I feel that we get good value for money as well as good service. The staff were very friendly and helpful polite and professional. I trusted the staff with my vehicle. I also felt they offered a very reasonable quotation.